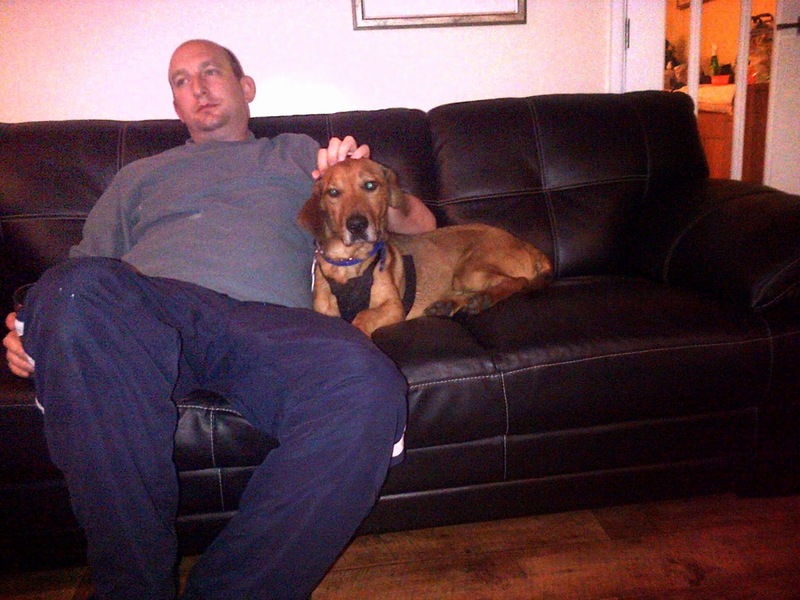 “Bosko has been with me for just over two months. He is a lovely chap, he has great manners and is very responsive to commands. He is very good around food and can be handled easily, great on the lead and has been good with my 2 dogs. He loves to snuggle up on the sofa and have a cuddle. Bosco sleeps quietly in a crate downstairs overnight and is fine to be left for a few hours with my other dogs. He has a lot of energy and is very trainable. He has done 8 weeks of beginners obedience training and was really good. He could be good for agility as he has the energy and the playful nature. Bosco travels well in the car and is house trained. Bosco would love other doggie company but he would be equally happy as an only dog. 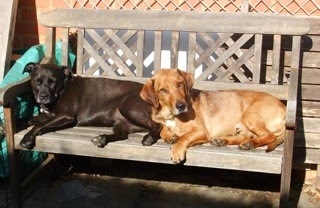 Bosco is of unknown parentage but there is a wiff of bassett hound In there I think! Bosco is a small dog in height but he is quite long and quite stocky. mouth slightly. 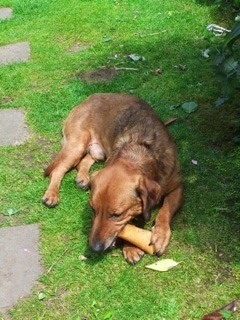 Bosco has good recall generally but has can be distracted if he gets a scent as he is a hound type dog. This needs to be worked on. Bosco originally came from Croatia and was a street dog but you would never know that now as he is in great condition and very used to the British way of life. Bosco just needs a forever home where his recall can be worked on and he can enjoy a settled long and happy life where he will give his new family years of adoration, cuddles and pleasure.